Field work is carried out in Vindelfjällen nature reserve, southern part of Lapland, Sweden (65°57′ N 16° 12′ E) located in the lower alpine zone of the Swedish mountain range (see this map and see the map below). 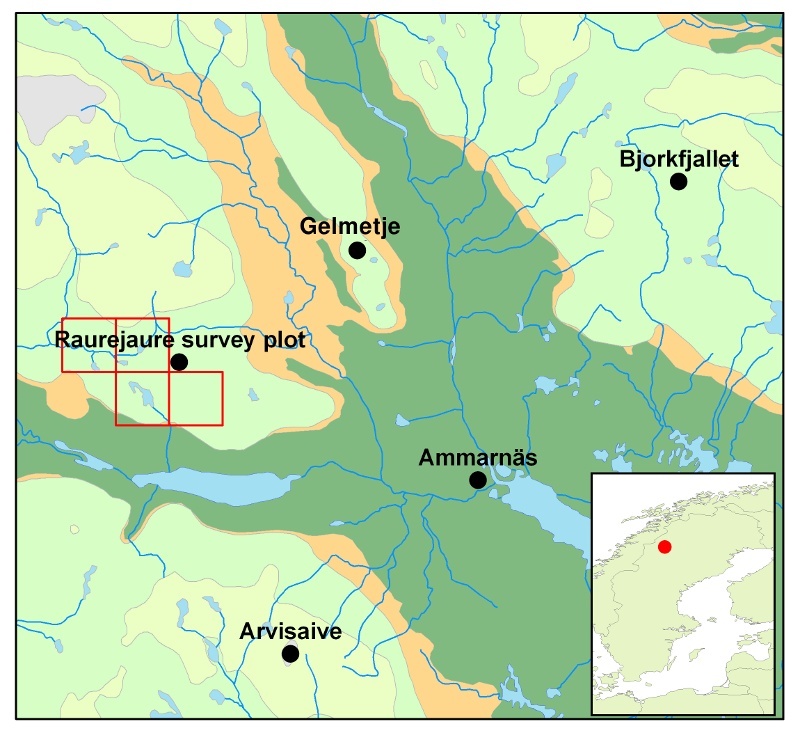 Within this vast nature reserve, three subareas are studied: Raurejaure, Gelmetje and Björkfjället, all situated around the village of Ammarnäs (see map below). 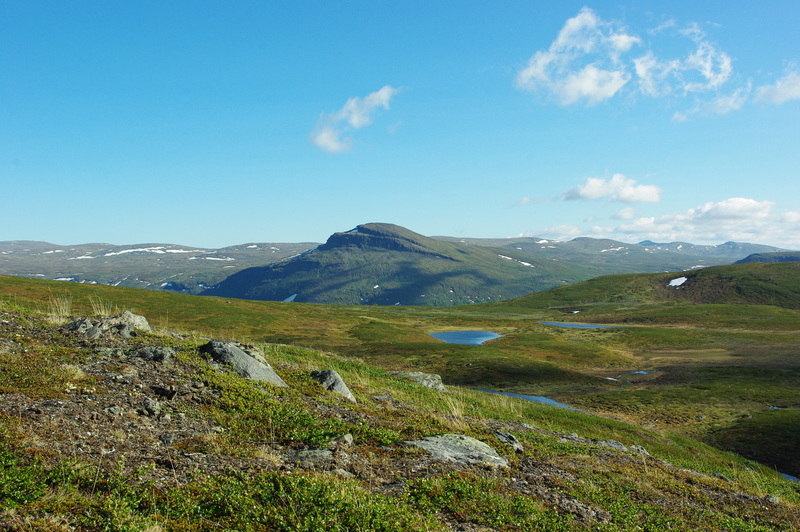 The study areas range from 800m to 1000m above sea level and contains habitats rather varied but could mainly be characterized as open low Arctic mountain heath tundra above the birch zone with a high proportion of lakes, mires and areas with low standing and flowing water, which make it a suitable breeding site for many wader species. Map showing the village of Ammarnäs and three main study areas: Raurejaure, Gelmetje and Björkfjället. Äivesaive, in the southwest, is an additional area, sometimes visited for Long-tailed Skuas. The inset shows the location of Ammarnäs within Sweden. Most of the area is covered by lower vegetation as herbaceous plants, mosses and lichens but in some parts there are small shrubs of Dwarf birch (Betula nana), Crowberry (Empetrum hermaphroditum) and Willow (Salix sp) containing good numbers of breeding waders with Eurasian Golden Plover (Pluvialis apricaria), Dunlin (Calidris alpina) and Common Redshank (Tringa totanus) being the most numerous ones. Other wader species include Eurasian Dotterel (Eudromias morinellus), Common Ringed Plover (Charadrius hiaticula), Common Snipe (Gallinago gallinago), Ruff (Philomachus pugnax), Red-necked phalarope (Phalaropus lobatus), Common Greenshank (Tringa nebularia), Wood Sandpiper (Tringa glareola), Common Sandpiper (Actitis hypoleucos), Temminck’s stint (Calidris temminckii), Bar-tailed godwit (Limosa lapponica), Broad-billed Sandpiper (Limicola falcinellus) and Whimbrel (Numenius phaeopus), so there is a fair variety of breeding waders in the area. Potential predators in the area are: Mew gull (Larus canus), Long-tailed Skua (Stercorarius longicaudus), Raven (Corvus corax), Hooded Crow (Corvus cornix) among birds, and mammals: Red fox (Vulpes vulpes), Arctic fox (Vulpes lagopus), mustelids as Weasels (Mustela sp) and possibly some of the much rarer and larger ones. Slettnes means ‘flat cape’. At 71°N, its lighthouse is the worlds northernmost mainland lighthouse.The area is mostly flat, sparsely vegetated, coastal tundra, interspersed by small ponds lined with Carex-vegetation and surrounded by the Barentz Sea. Slettnes has been designated as a protected area because of its rich avifauna. It harbours the region largest Arctic Skua colony. Other breeding species are, for example, Great Skua, Red-throated Diver, Red-necked Phalarope, Ruddy Turnstone, and Snow Bunting. 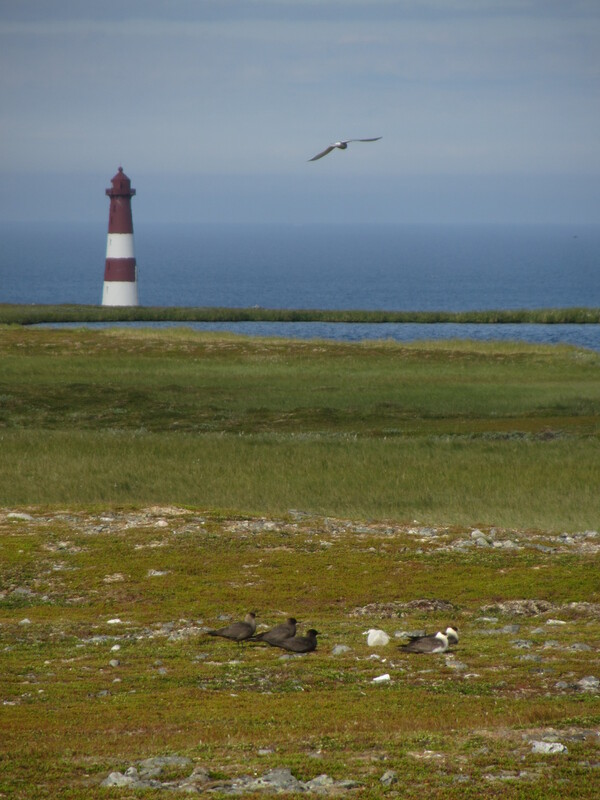 Slettnes lighthouse and a club site of Arctic Skuas. 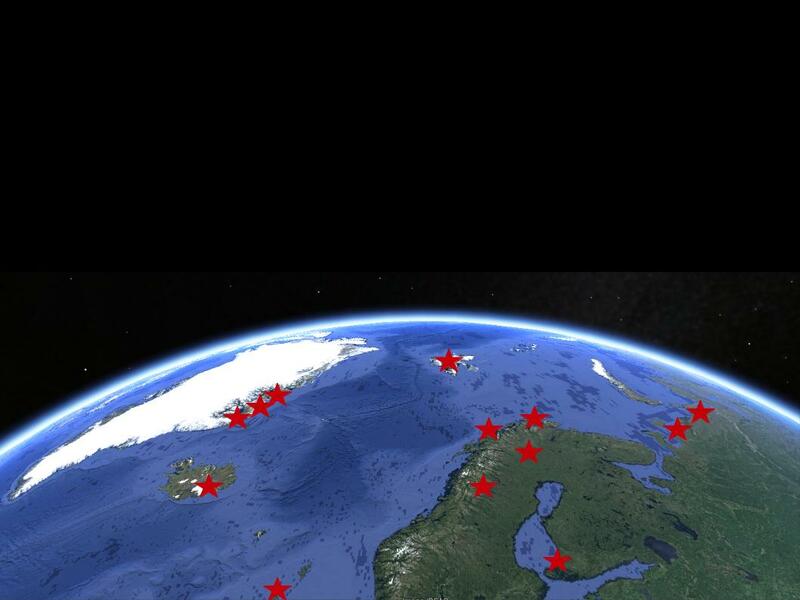 Through collaborations with many people, we are able to jointly study the migration of Long-tailed and Arctic Skuas, Red-necked Phalaropes and Dunlins. See a rough map below for most of these sites, but certainly not all!